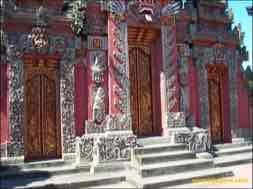 The various religious activities of Hindu believer in Surabaya are often focused here. They are Galungan, Kuningan, Saraswati, Melasti, Pecaruan and other. With celebration of Nyepi or New Year Saka, it is expected the Hindu members will cope to increase the Sradha and Bhakti to create the harmonious public, peace, and secure and prosperous. 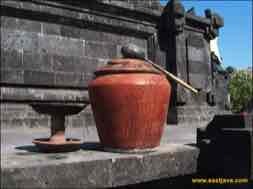 This Pratima hereinafter applied in Melasti ceremony, a ceremony with an aim to request the life water or tirta amerta. 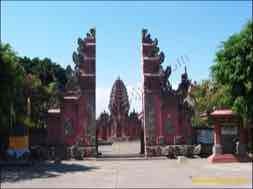 There are 11 pratima of eight temple in Surabaya, add three temples that each resided in Gresik, Lamongan, and Sidoarjo, has join in Melasti ceremony. The intention of Melasti ceremony like the one that written in Wedha literatre is angamet sarining amerta ring telenging samudra or look for life water in the middle of the ocean. The next ceremony from this network is Tawur ceremony to dross or Mecaru is focused in Taman Bungkul, followed by tens of Hindu priest and soothsayers from Bromo. In this ceremony, the prayers is contain of application of peacefulness in world is echoed. The core of the ceremony is for the shake of harmonization of glorious nature and elite world. At that time, ogoh-ogoh which have been prepared some day before take a big role in New Year Saka celebration. 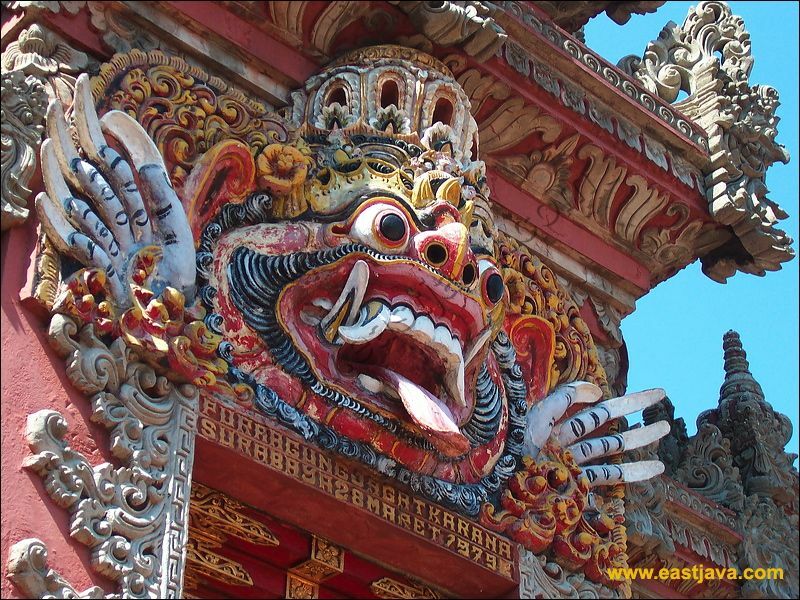 Ogoh-ogoh being made like rangda, inverse scorpion, scorpion ijo, and cluluk all is the symbol of badness and all of bad things in the world. When the commemoration of Nyepi Holiday, Hindu believer will execute Catur Brata Nyepi, or execute the prohibition of four things. First prohibition is observe geni or don't turn on the fire. The value, which implied in observe geni is to kill the bad passion in our self, which during the time unconsciously always stay in our heart, for example just bluffed, sharpened, or other bad character. The other three prohibitions is observe the masterpiece or don't have a work, observe lelungan or don't travel, and observe lelanguan or don't enjoy the entertainment. As does other religion believer who greet the New Year with cleanness heart and mind, hence Hindu believer also perform a praying ceremony ngembak geni in Segara Temple, Kenjeran, Surabaya. The ceremony that becomes an action chains to greet this Saka New Year is filled with dharma santi or apologized each Hindu member.